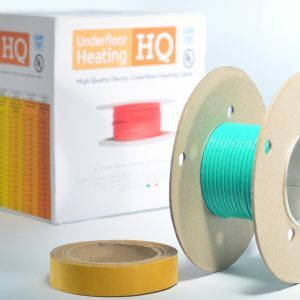 Underfloor Heating HQ’s Warmtoes loose wire is comparable to the best on the market! Our underfloor heating 2mm thin wire kits come with very strong installation tape. 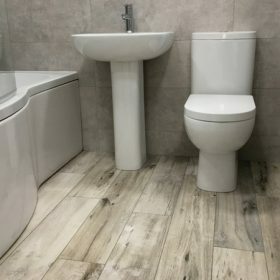 Underfloor heating loose wire is ideal for smaller areas like bathrooms. The wire kit is also ideal for kitchens with islands. Our underfloor heating is only 2mm thin. Using a thin wire means you use far less adhesive. 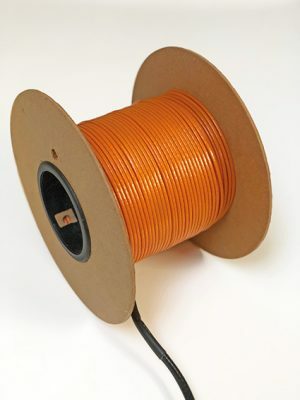 The wire is also very easy to install and comes with very strong double sided tape. 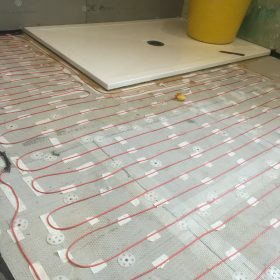 If new to underfloor heating we’d recommend you buying the underfloor heating loose wire system. This page will help you with the size you require. Why no primer or roller? They’re not needed if using very strong installation tape. 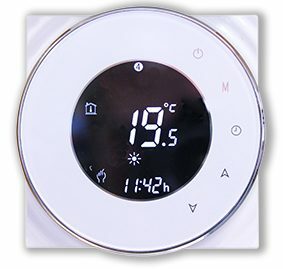 Shop for cable on it’s own or with a thermostat of your choice. Underfloor heating loose wire can run at a different wattages. This depends on the space between the cables. We have calculated three different wattage’s for you available on the shop page. Our heating wires are tested by certified testing houses and are sold globally. Our Warmtoes wire compares favorably with the biggest brand in the UK. You can have 100% peace of mind knowing you’re buying a high quality system at a cost effective price. Please contact us to discuss sizing or wattage. 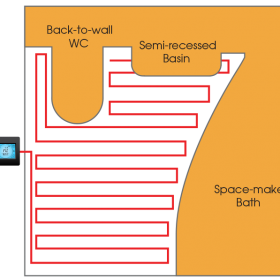 We want to make your underfloor heating journey as simple as possible.